This painting was commissioned by travelers who visited the Amalfi Coast in Italy. 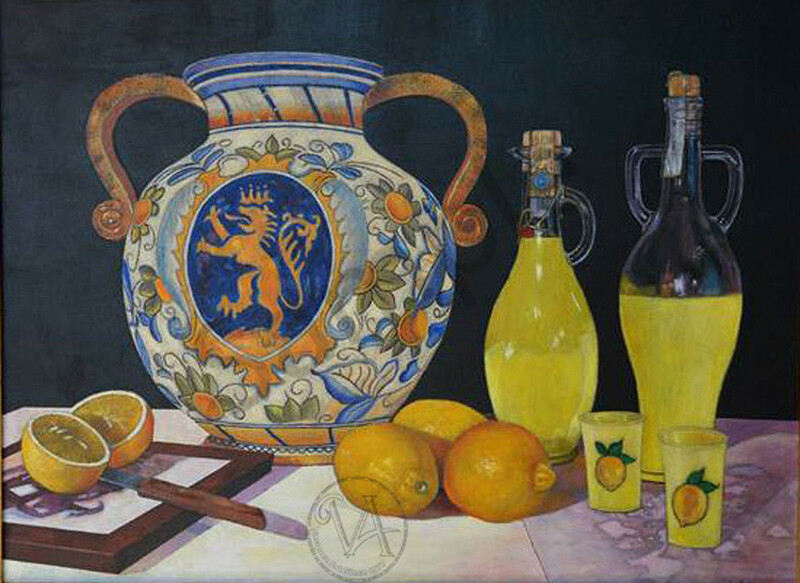 They often wanted to relive their experience of the quaint cafe and the surrounding blue Mediterranean waters with a toast of the region’s legionary Limoncello. Alla salute! This Limited Edition Giclee is 18 x 24, its original size. There are only 120 high quality canvas prints available including a Certificate of Authenticity. The price is exclusive of any tax, shipping, or frame.